I’ve started really focusing on my energy levels lately because I’ve been feeling tired all the time. I have been raising my standards in all areas of my life lately and I want to have better relationships, make better content for my blog and become a better version of myself. I realize to do this I need to maximize my energy levels. It is impossible for me to become who I want to be if I feel crappy and tired. To be honest, this all came about because I felt like I wasn’t doing my best in life. I felt tired and exhausted all the time and reaching for more started to feel more and more difficult. I found myself needing more and more rest and I wasn’t able to perform at the levels I used to. Here is what I’ve been doing to raise my energy up so I can keep growing into the person I want to be. If you want to hear all the details about everything I’ve been doing check out my podcast episode on how I am raising my energy on Podbean or iTunes. I’ve been doing a “energy audit” to figure out what areas of my life are helping me build more energy and where I need to make changes. Here are some things to journal on to help you figure out what areas of your life you need to modify or focus on. I ask myself these kinds of questions to help me get clear on what changes I can make to make myself feel more energized. What activities do I do throughout the day give me energy? What activities do I do throughout the day make me feel drained? What thoughts give me energy? What thoughts take my energy away? What friendships do I have that make me feel more energized? What friendships do I have that make me feel drained? What food do I eat to give myself energy? What food do I eat that makes me feel tired? I am a huge advocate for self-care and rest. However, I think there needs to be more of a discussion around self-care and discomfort. Most of the things I do for self-care aren’t pleasurable in the moment. In fact, a lot of them are things I would rather not do at all. Things like going to the gym, having really intense therapy appointments and going to have bloodwork done with my Doctor rank about dead last on my list of things I would choose to do for fun. 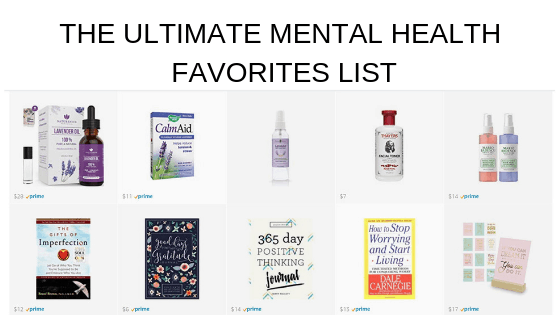 However, I know these things are vital for my mental health. There is a lot of talk online right now about making yourself a priority and making time for yourself. Of course, those things are important but it is also important to realize that sometimes rest can actually make your mental health worse. If I choose to start slowing down and taking time to rest I can easily start struggling with depression again and even have a full-blown depressive episode. Before I take time to rest I ask myself is taking this time off going to give me more energy? If rest is going to make me feel recharged and refreshed then I take time to rest. Most of the time though rest makes my mental health far worse and it actually ends up making me feel exhausted and tired. If I know resting is going to make my mental health worse I do my best to push through by doing some easier activities or light work. I don’t advocate anyone to push themselves to exhaustion but I think it’s important to ask yourself if rest is REALLY what you need and if it will actually make you feel better or not. I have noticed lately that my mindset really plays an important part in how I feel overall. If my inner dialogue is negative or if I let myself focus on past memories that make me feel bad my energy quickly plummets. Practicing mindfulness has helped my energy levels because I intentionally don’t let myself linger on negative thoughts throughout the day. Notice what thoughts or stories you tell yourself throughout the day and ask yourself “does this thought make me feel energized or drained?”. If I notice my thoughts are starting to become negative I take a few minutes to focus on gratitude and bring myself to the present moment. You can find all of my favorite free gratitude meditations here. Meditating helps me stay in the present moment and step back into feeling positive feelings when I notice I’m starting to think negative thoughts. This has had a huge impact on my energy level because I choose not to let myself think negative thoughts that make me feel crappy. It takes a bit of practice but I think it is definitely worth it overall. I used to think that exercising would make more tired. I didn’t understand that exercise actually creates more energy (especially long-term). Some studies have shown that exercise is just as effective as anti-depressants for treating depression. I’m still a huge advocate for taking medication if it will help you but I think it’s important to recognize that exercise can have a huge impact on mental health. I try to exercise every day for at least 30 minutes. This helps me manage my depression and anxiety plus it helps me create more energy. I often find that when I’m really tired of exercise helps me keep going and have the energy to execute the things I need to do every day. Exercising daily is one of the things that most successful people have in common. When I decided to get serious about changing my life I started implementing habits that people I admire do every day and almost all of them were very serious about exercising every day. In addition to giving you energy, exercising can also have a huge positive impact on your overall physical health. Nothing will zap your energy faster than being sick, in pain or in bad health. If you want to get serious about having more energy I think exercising is a must-do. If you’re struggling with low energy levels I urge you to go talk to a Doctor. After I had been struggling with clinical depression for ten years I finally went and talked to a Doctor. I was given anti-depressants but they also did blood work and I found I was extremely deficient in vitamin B, D and Iron. 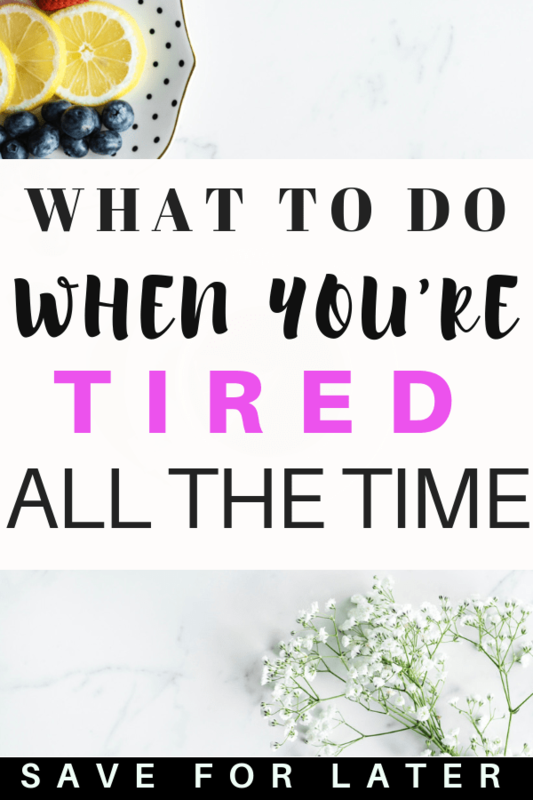 If you are feeling tired all the time to talk to a Doctor and see if there are any medical reasons for it and if there are any treatments that they recommend. I personally hate going to the Doctor. It gives me anxiety and kind of freaks me out in general. However, I can tell you talking to a Doctor about my depression and low energy levels changed my life forever. I was able to feel empowered to actually try things to start feeling better instead of just accepting that I was always going to feel bad. I wish I would have talked to a Doctor much sooner that I did and I hope you don’t make the same mistakes I did. If you’re not feeling as good as you used to or if you just don’t have very much energy go to talk to a Doctor and find out what is going on. One of the best ways I keep my mindset positive is listening to a ton of personal development podcasts and audiobooks. A lot of women email me and tell me their husband/partner/friends/family are really negative and they don’t know what to do. It can be a bummer to be around negative people when you’re trying to raise your energy or improve your life but it is something everyone goes through. We are all going to have to deal with people that are negative at different times in our lives. It’s important that your own happiness doesn’t depend on being surrounded by only positive people. If you have positive people in your life you can spend time with I suggest making an effort to strengthen that friendship and spend more time around that person. If you don’t have anyone to spend time with that is positive I really suggest listening to self-help podcasts and audiobooks. Just listening to things that have a positive message helps me stay energized and helps me keep my energy levels high. If you’ve been feeling tired all the time I hope this post inspires you to take action to start setting the intention and taking action to raise your energy levels. I know if I don’t make having energy a priority I will never be able to create the life that I want to live. Going through and auditing what I am doing that is giving me energy and what is draining my energy has helped me make a plan I can use to have more energy throughout the day. This means I have more energy to bring to my relationships, work on my goals and create my dream life. I would love to hear what you are doing to manage your energy levels. Come and connect with me over in my Mental Health Support Facebook Group.